The fourteenth annual Cameron Dewberry Festival begins on April 23, 2010. 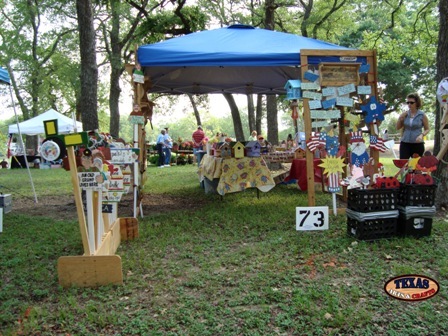 The Barbecue Cook-off begins on April 23rd at the Wilson-Ledbetter Park, South College Street, Cameron, Texas. Kristin Kelly and the Modern Day Drifters will play Friday night. (2009 GWE Best New Artist and nominated for Band of the Year 2010 GWE Awards). On April 24 the Cameron Dewberry Festival opens at 9 a.m. There will be a Classic Car Show, Horseshoe Tournament, Youth Fishing Tournament, Barbecue Cook-off, Dewberry Cake and Cobbler bake-off, Arts and Crafts Vendors, Carriage Rides, and Fun for Kids of all Ages. Randy Brown Band will play from 7 - 10 p.m. He has received many awards including the 2008 Male Vocalist of the Year Award from the Texas Music Association. His recording of “All Liquored UP” stayed on the Texas Music Chart for over “15” weeks in 2009. The thirteenth annual Cameron Dewberry Festival begins Friday, April 24th and ends Saturday, April 25th. The show is located in Cameron, Texas. It is about 90 miles north of Schulenburg. Friday the Barbeque cook off begins. Saturday is the main day for the show. There will be Arts and Crafts, live entertainment, a Barbeque cook off, a Car Show, and many other fun activities.